One of my goals each year is to find a way to grade “as infrequently as possible” and formally quiz as little as possible. Reducing pressure and performance culture in the classroom is challenging, but I think Dylan Wiliam has unlocked a key component in the quest. However, if we shouldn’t grade frequently, and we aim not to formally quiz often, then how can we do this while still knowing if kids are understanding the material? After working on a concept for a couple classes, I like to give an ungraded quiz in order to see where the kids are and discover misconceptions. There is no pressure at all to perform well on these because they aren’t a grade. Here’s one I used to formatively assess student understanding of angle pairs a few weeks ago. On our warm up, we analyze the most common mistakes from the ungraded quiz. From there, the lesson plan for the day is adapted based on the misconceptions from the previous day. 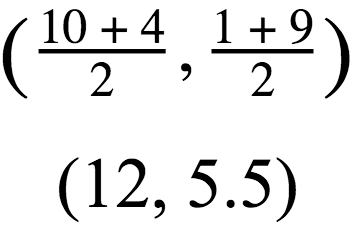 For this one in particular, the most common trouble area was knowing how to set up equations based on the given angle pair. 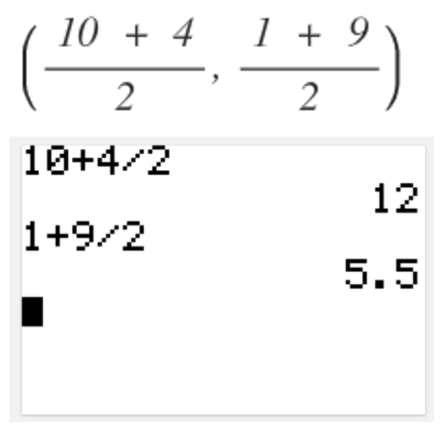 Therefore, we spent some time just working on setting up equations. Ungraded quizzes are currently my favorite method of avoiding grades and formal quizzes, and I think they’re helpful for promoting a classroom culture that values mistakes. In fact, after the most recent ungraded quiz in our class, a student came up to me and said (worryingly) that she thought she messed up on one of the problems. I told her that I’m actually really happy about that because I want to see mistakes! It was a big aha moment for both of us. Although ungraded quizzes are my current favorite, it’s important to sometimes get even more real-time feedback about student understanding. One way that’s played out so far is to move around the room while the kids work together/individually on problems or a task. 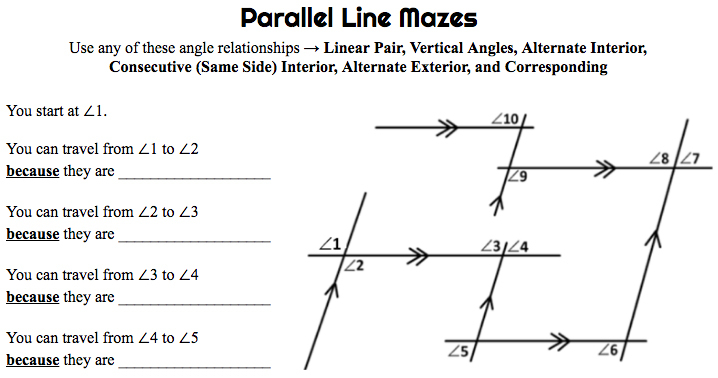 For example, we worked on Daniel Schneider’s Parallelogram Mazes recently to get some work with vocabulary related to parallel lines & transversals. As I walked around the room monitoring and answering questions, it became clear that the students were having trouble with the different terms. In response, I tried to show them some examples, but we needed more work. So, the lesson plan for the next day needed to change! Here’s the warm up in response. Finally, one disadvantage to ungraded quizzes is that they don’t always show the full story of student thinking. Some errors and thinking can only be gathered by being around the students and observing and listening. For example, during the second week of school, this was one of the questions on an ungraded quiz. What is the coordinate of the midpoint of AB if A(10, 1) and B(4, 9)? Forget about whether a calculator was needed for a moment. The point here is that I never would have known this was happening unless I was around the student. How do we grade and formally quiz less often while still knowing if the students are getting it or not? Very frequent formative assessment that leads to adapted lessons. Here’s the overall pattern of what it currently looks like in my room. These are just a few ways formative assessment can work its way out in a classroom. Feel free to share what’s worked for you! As always, great ideas Thanks.